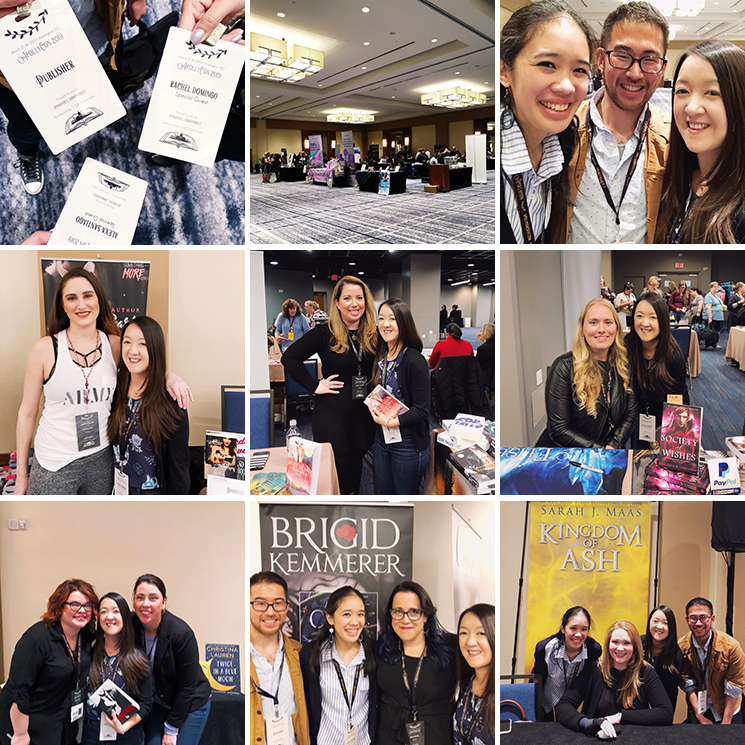 This past weekend was ApollyCon, an all-day event in Philadelphia celebrating the release of Jennifer L. Armentrout's latest book, The Return, which is a spin-off of her Covenant series. It included signings with Jennifer, the cover model (so cute!) 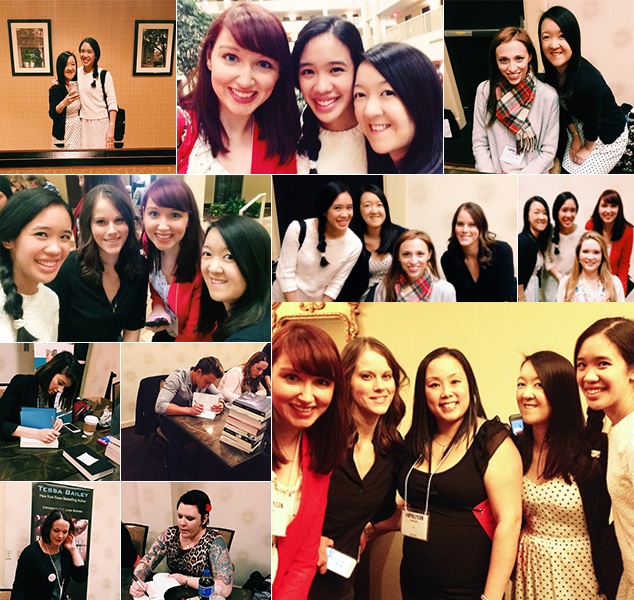 plus 30 of her author friends (Sarah J. Maas! Susan Dennard!). There were giveaways, goodie bags filled with books and a party that night. I wasn't really sure what to expect from whole thing but I'm so glad I decided to go. More than anything, it ended up being fun weekend spent hanging out friends and seeing some of my favorite authors. DAY 1: Arriving in Philly! 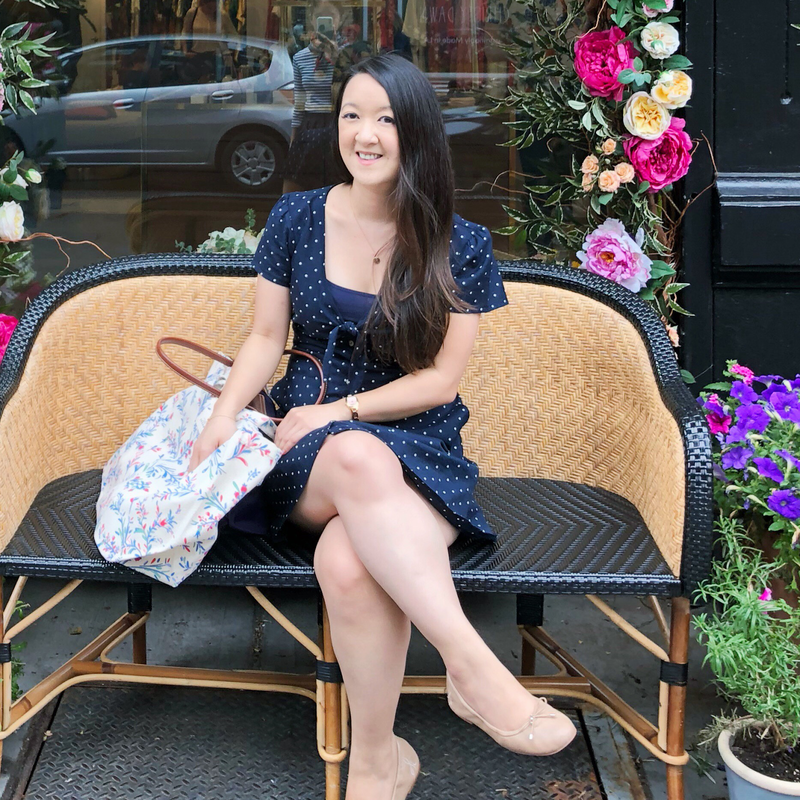 My partner-in-crime for the weekend was Alexa and we decided to drive down early Friday to have some time exploring Philly. We went straight to the downtown area. We started off at Reading Terminal Market which was this indoor food market (very similar to Chelsea Market in NYC). I pretty much wanted to eat everything in sight but we settled on: Profi's Creperie, Kevin Parker's Soul Food Cafe (delicious fried chicken!) and Beiler's Donuts. (I highly recommend all three!) 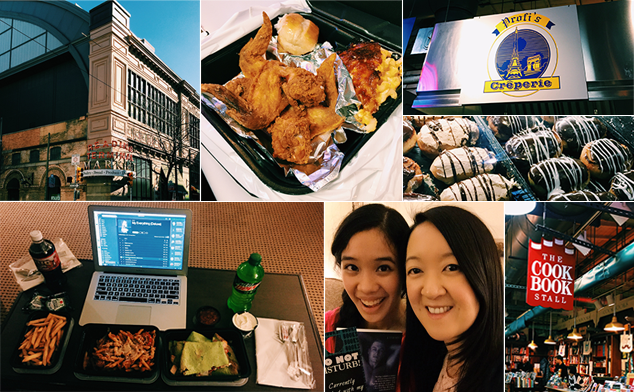 Afterwards we stopped by the Joseph Fox Bookshop, shopped all along Walnut Street and then settled into our hotel for some room service, listening to Ariana Grande and binge-watching the rest of season 1 of Magic Knights Rayearth. Food, shopping and relaxing was exactly what we needed because let me tell you.. the next day was crazy! Fun but crazy. Pictured above: Alexa from Alexa Loves Books, Jamie from Perpetual Page-Turner, Betty from Book Rock Betty, Vi from Deity Island, Susan Dennard, Sarah J. Maas, Alexandra Bracken, Jennifer L. Armentrout, Drew Leighty, Jay Crownover and Tessa Bailey. The ladies in charge of running ApollyCon did a really great job! There was an area for buying books for the signing, free swag from Spencer Hill Press, giveaways and all the authors' tables. Alexa and I met up with Jamie and Betty and since we all had VIP tickets, we were able to get our books signed an hour early before everyone else. We immediately said hi to Susan Dennard who was lovely as usual. After hanging out with her for a bit, we saw Rachel Harris (who cutely asked me if I spelled Rachel the "right way" - um yes I do! ), Megan Erickson, Tessa Bailey, Jay Crownover (she's so funny! ), Sarah J. Maas, Alexandra Bracken, Katie McGarry and of course, Jennifer L. Armentrout. Confession time! We ended up not staying in line to get our books signed by JLA. All of us already have books signed by her plus her line was insanely long! Jen signed from 11am until 7pm. She's one of the nicest authors I've met so I'm not surprised but still.. I was just in awe! Pictured above: Alexa, Jamie, Betty, Katie from Polished Page-Turners, Jennifer L. Armentrout and Drew Leighty (Seth cover model). Books on the left are the ones I purchased, the ones on the right are from the ApollyCon goodie bag. Since we decided to leave the public signing portion of the day, Alexa, Betty, Jamie and I headed over to Ruby Tuesday's for lunch. 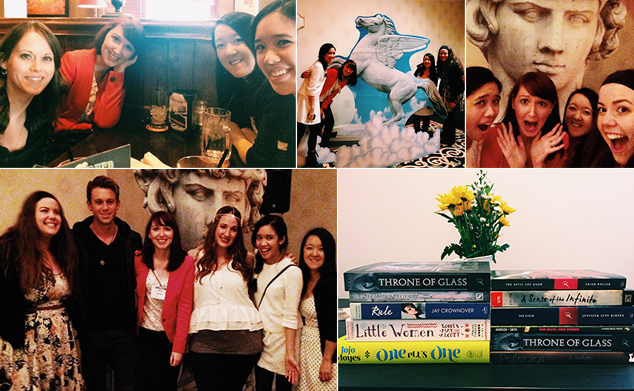 We all rarely get to hang out and it was so, so nice getting to spend the day with these ladies. Then Jamie, Alexa and I chilled in our suite until it was time for.. the party! Yes, ApollyCon also included a Greek gods and goddesses themed party. We opted to not show up in costume but seriously, some people had super creative ones that made me wish I had worn pretty gold leaf clips in my hair or something. We met up with Katie there and danced/took silly pictures for the rest of the night. I wasn't expecting to end the day with a dance party with friends but it was totally fitting for this event. So, that was my ApollyCon experience! If you were there, I hope you had just as much fun as I did! So insanely jealous of you! It looks like you had a blast. And all of the food photos (fotos?) you took look delicious. Yum! ApollyCon was seriously such fun! I'm so glad we decided to go, and that we wound up making an entire weekend out of the event ;) Just getting to spend some much needed quality time together was really awesome, and I look forward to all future adventures together! Can you believe I've never actually done the whole Reading Terminal thing? As long as I've been living in Philly! Lol. It was great to finally meet you!!! So happy you had fun.